Which one is easiest to care for? 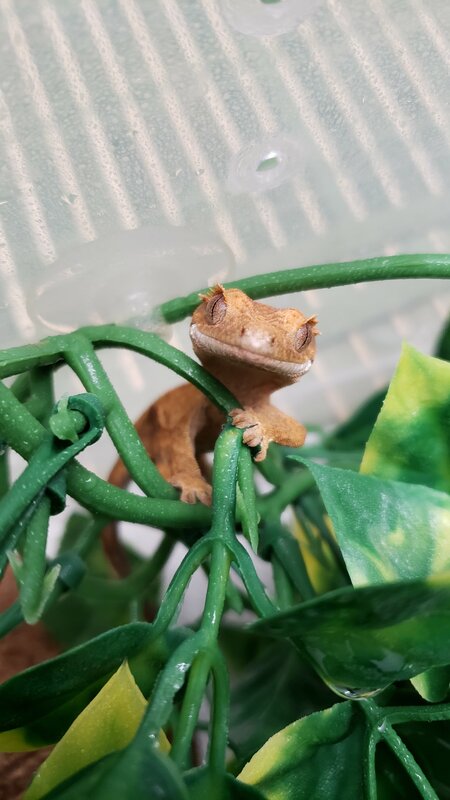 As a new owner of lizards, I wanted to write about which one I find easiest to care for between the crested gecko and the leopard gecko and give you the most noticeable differences between the 2. For those who hasn’t read my previous posts on my other blog, I want to introduce my little guys to you. This is Jazz, he/she was born on June 10, 2018. He’s a crested gecko. His morph so far seems to develop as a flame. He/She has quite of a personality and will make you smile every day with his/her funny poses. And this is Pixel, he’s a leopard gecko and as you can see he’s much bigger. He was also born in June. June 13 to be precise. His morph is so far is a Tangerine ph Tremper. He is still shy, but it’s funny to see his big eyes in the morning when I come to feed him. 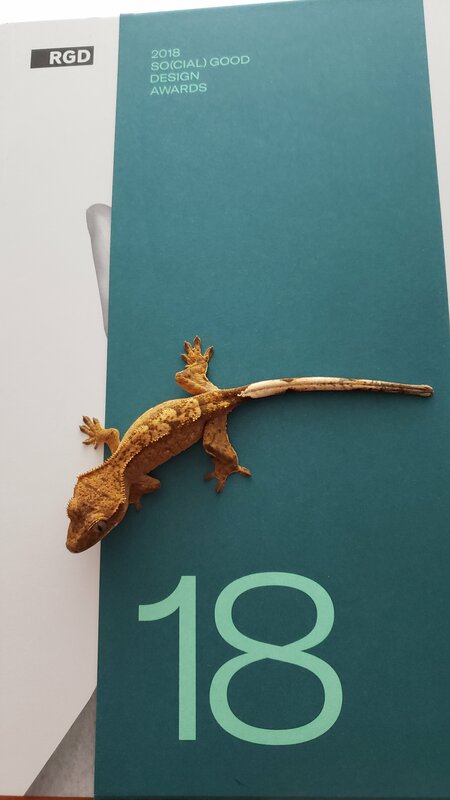 Now to the main topic… You have considered to adopt a gecko pet, but not quite sure which one? I have been taking care of those two for about 2 months altogether. 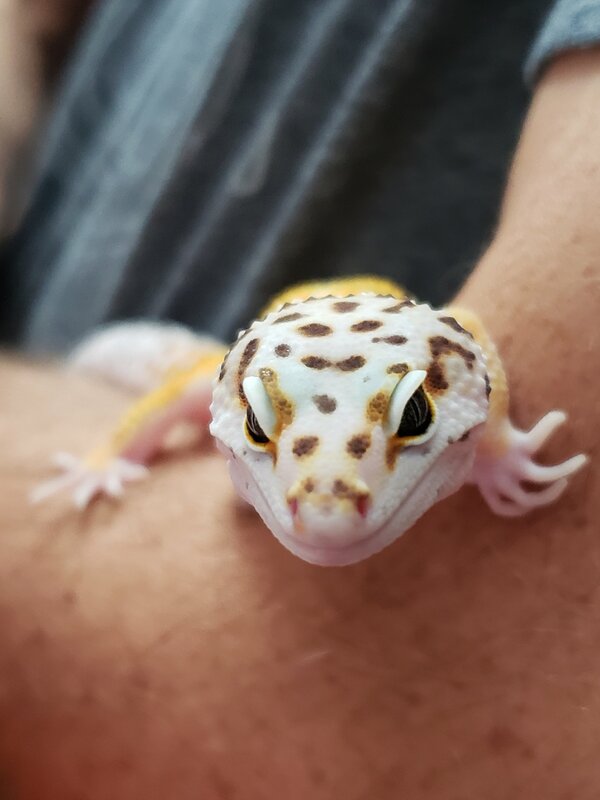 The leopard gecko I have had him for only a month so far. Yes, you will say that I don’t know much about them yet, but I have learned a lot in these past 2 months by asking the breeder and doing research. Both the crested gecko and leopard gecko are fairly easy to take care of. I actually was surprised at how easy it was. 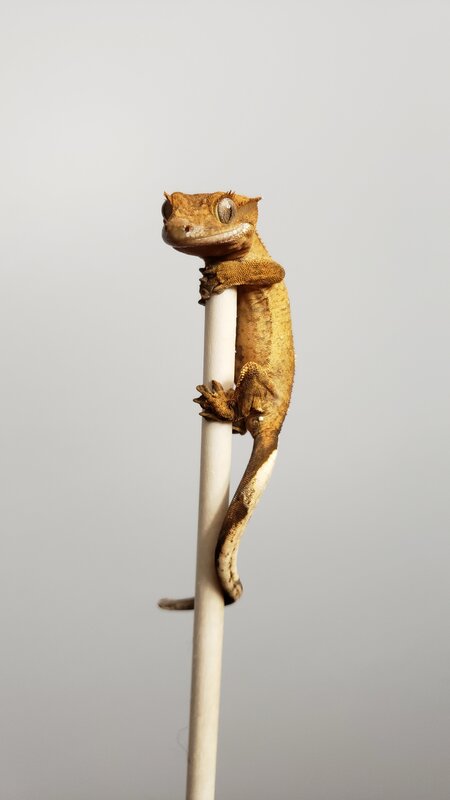 The crested gecko requires humidity, so this is an extra step you need to do and watch for. You need to spray twice a day their enclosure in order to make sure they get proper humidity. They don’t require to eat insects. You can buy a powder mixture to give them. 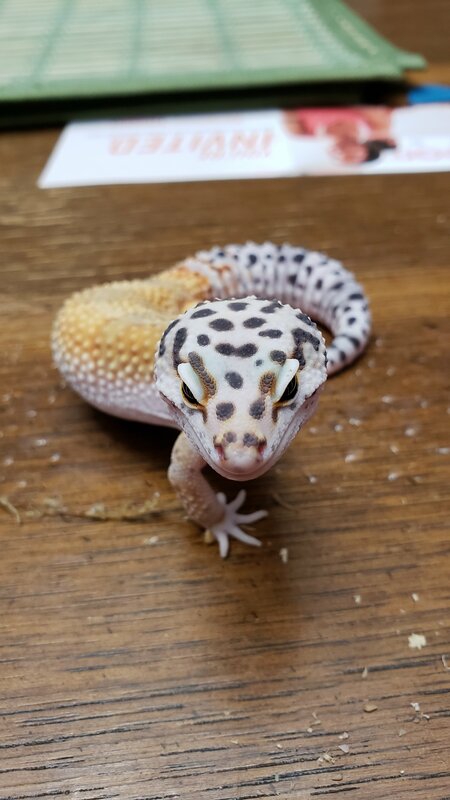 If you are not a bug person and would like a lizard, this is the one you want. They don’t require a heating system, but you need to make sure the temperature is above 17C. For the leopard gecko, they live in a dryer environment. Yes, you need a heating pad under the tank, but once it’s set up, you’re good to go. You still need a humid hide to promote a proper shedding and believe me, you don’t want shedding issues. So far so good on my end. Leopard gecko also strickly eats insects, so you have to be aware of that. Writing this post, made me realize that really, they are both easy to care for. they are just different. I guess it depends on each person. These 2 geckos come from two different environments. In my personal experience, I think the leopard gecko is a bit easier, or should I say less maintenance since they don’t need high humidity. I don’t mind feeding them bugs, so this isn’t an issue for me. I could go into a lot more details about their care and maintenance but am not going to this time. 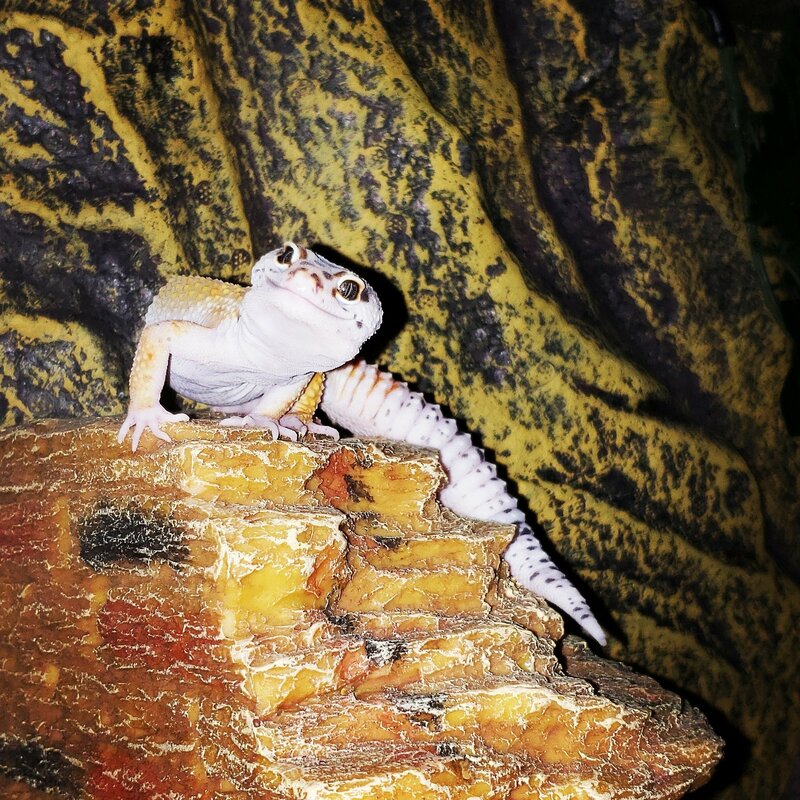 BUT If it’s something you’d like to know or if you have questions regarding those two types of geckos, please let me know in a comment or by sending me a quick email via my contact page and I’d be happy to answer your questions at the best of my knowledge or asking the proper channels. *Please no harsh comments as I am still learning about them. So I didn’t even realise Cresties were this easy… and thought they would need higher temps..! Do they jump? Are they more difficult to handle than Leos? They are jumpy when babies. But as they grow they calm down. The fact that they jump makes it fun though. You know when they will jump, they bring their back feet forward.